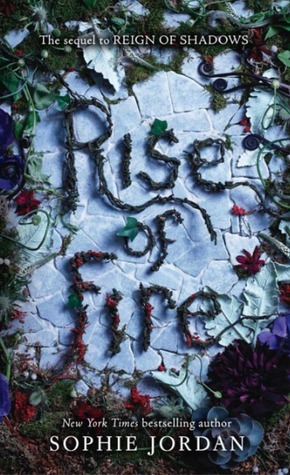 Presenting Reign of Shadows #2 Rise of Fire by Sophie Jordan. Typical of duologies..... They might be a hit... Or a miss. Sadly in case of Rise of Fire, it just doesn't come to par with the fantastic and exciting that was the first book. Reign of Shadows, was a powerhouse in on itself. It was new and very exciting.... Rise of Fire in comparison just doesn't do it justice. That is not to say that that I disliked Rise of Fire... I did not but it just didn't give that feeling of hair raising fun like the first book. Of course more of Luna and Fowler was a bonus. But other than that it felt like a haphazard mess. Don't get me wrong. There is a happy ending here and personally I like a good and happy ending but what paved the way to that was in the short order a disaster. My only beef with this book is just that inclusion of third wheel between Luna and Fowler of the Lagonian royalty and their stake in the power play.... Something that was totally not needed at all in the long run and just served to downgrade a possibly action packed and a hair raising finale. Where it felt like the author just threw in a final confrontation with the creature because she suddenly remembered what the story was all about. "A disappointing conclusion to an exciting beginning"